Cosmetic dentistry is an art form. The color, size, shape, and uniqueness of each enhancement or tooth restoration requires great attention to detail. Only the most dedicated cosmetic dentists have the focus and determination to produce a smile makeover that is natural-looking and perfect for your appearance. Trust in the talent of Manhattan cosmetic dentist Dr. Michael J. Wei, the experienced New York City dentist who has earned the respect of his patients, community, colleagues, and peers, to create your customized smile makeover. When you are seeking an aesthetic smile makeover, a comprehensive Midtown Manhattan cosmetic dentistry practice is a must. You want to visit a dentist who is prepared to offer you a variety of options to upgrade your smile, not just one or two procedures. However, it’s essential to choose a dentist who is proficient at all the procedures he offers. Cerinate Lumineers: The less-invasive version of porcelain veneers. Cosmetic Tooth Bonding: The painless and fast way to repair a damaged tooth. Fixed Dental Bridges: Aesthetically fix missing teeth with porcelain bridges. Full Mouth Reconstruction: Fully restore your bite and smile. Porcelain Crowns: Repair and strengthen teeth cosmetically. Porcelain Veneers: The most effective, versatile, and all-encompassing way to enhance your smile and eliminate multiple dental complaints at one time. Smile Makeovers: Transform your smile with a perfectionist. Teeth Whitening: Professional-caliber bleaching products blast away stain molecules to create that coveted white smile. Tooth-Colored Fillings: Invisibly repair damaged teeth while removing mercury fillings. Why Visit a Manhattan Cosmetic Dentist Like Dr. Wei? 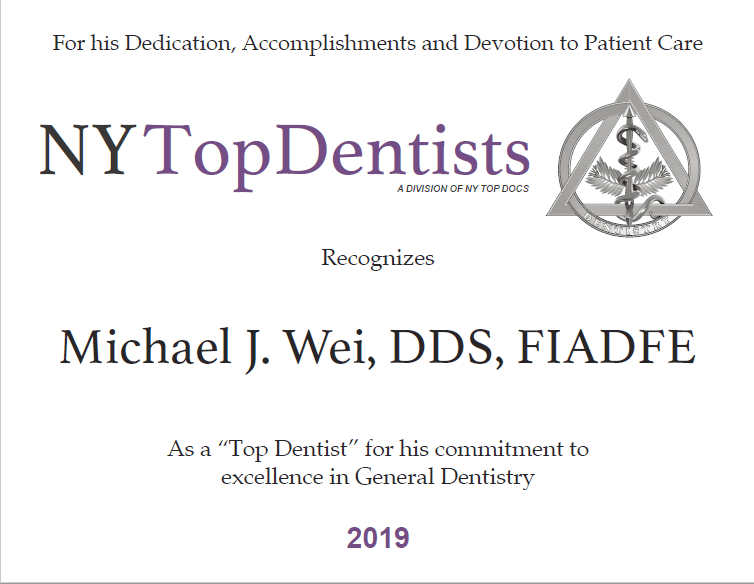 Manhattan cosmetic dentist Dr. Wei has dedicated himself to his career, pursuing and completing advanced training and continuing education from the top dental institutes in the world. 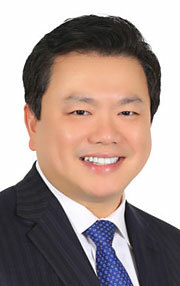 Dr. Wei considers it his privilege to provide his patients with customized smile makeovers. He has a robust smile gallery of before-and-after photos showcasing his work – and the kind of results you can have too. Works with the finest dental lab, tools, and materials. Consults closely with master dental technicians to ensure that every patient gets the best customized results. 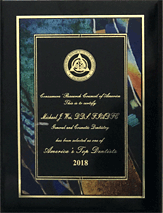 Offers the very best quality dental care available, not only as a Manhattan cosmetic dentist, but as a restorative dentist and general dentist. Has a proven high success rate, delivering excellent results for every patient. Dr. Wei has spent his career perfecting people’s smiles. His recommendations for each smile makeover are tailored to that patient’s unique needs and smile goals. You want a dentist who knows all the available options for improving your smile, and who confidently guides you in deciding what works best for your oral health, budget, schedule, and personal preferences. Whether you work, live, or play in Midtown, this humming section of Manhattan is home to Dr. Wei’s cosmetic dentistry office on Madison Avenue. The location is convenient and ideally situated for you to go about your daily life while making time for your customized smile makeover. The cultural institutions, tourist attractions, and vibrancy of New York City come together in Midtown. This is just the place in the city where you know it’s right to invest in a smile makeover, and trust that the undertaking will pay dividends for you professionally, personally, socially, and beyond.